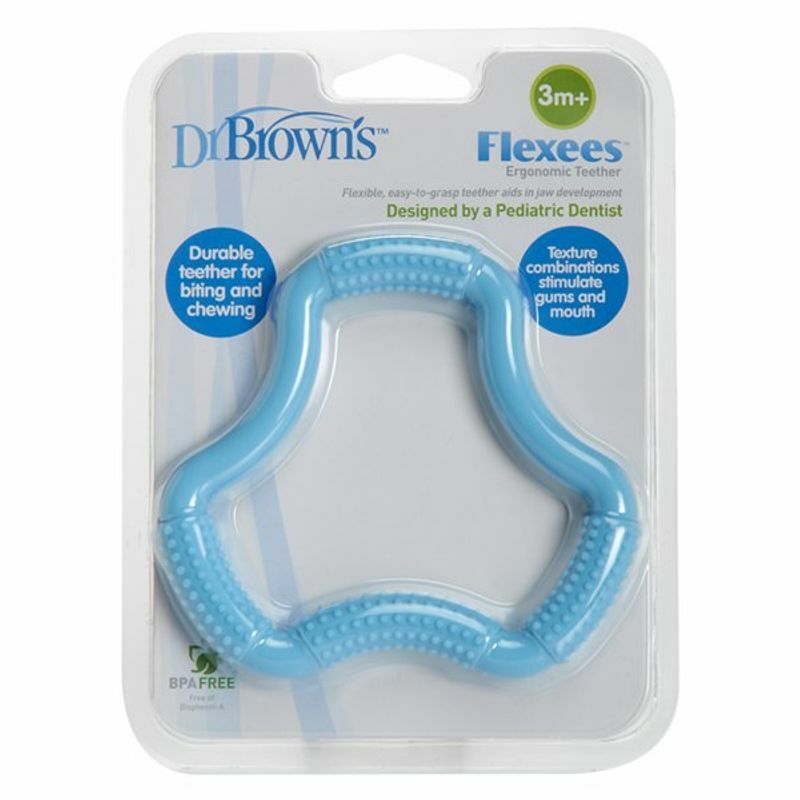 Developed by a pediatric dentist, these amazing teethers are sure to be loved by your child. This super-durable teether is made for biting and chewing, and it features a variety of texture combinations to stimulate the gums and mouth. Easy to be held by little hands, Flexees are a winner with the kids. Explore the entire range of Teeth & Dental Care available on Nykaa. Shop more Dr. Brown's products here.You can browse through the complete world of Dr. Brown's Teeth & Dental Care .